From mid-1970 to early 1974, The Who undertook an amazing and peculiar journey in which they struggled to follow up Tommy with a yet bigger and better rock opera. One of those projects, Lifehouse, was never completed, though many of its songs formed the bulk of the classic 1971 album Who's Next. The other, Quadrophenia, was as down-to-earth as the multimedia Lifehouse was futuristic; issued as a double album in 1973, it eventually became esteemed as one of the Who's finest achievements, despite initial unfavourable comparisons to Tommy. Along the way, the group's visionary songwriter, Pete Townshend, battled conflicts within the band and their management, as well as struggling against the limits of the era's technology as a pioneering synthesizer user and a conceptualist trying to combine rock with film and theatre. The results included some of rock's most ambitious failures, and some of its most spectacular triumphs. 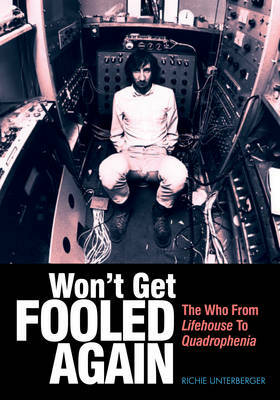 In "Won't Get Fooled Again: The Who From Lifehouse to Quadrophenia", noted rock writer and historian Richie Unterberger documents this intriguing period in detail, drawing on many new interviews; obscure rare archive sources and recordings; and a vast knowledge of the music of the times. The result is a comprehensive, articulate history that sheds new light on the band's innovations and Pete Townshend's massive ambitions, some of which still seem ahead of their time in the early 21st century.